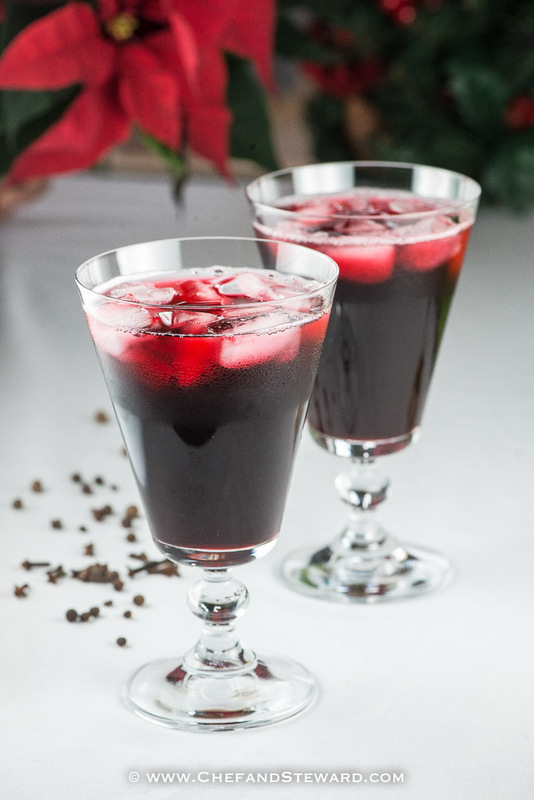 If there is one beverage present in every Jamaican home over Christmas and New Year’s it is “Sorrel.” In fact, it is pointed to say that it isn’t Christmas until sorrel drinks start brewing and poring aplenty in every Jamaican home. This is a defining part of our experience of the Christmas season. 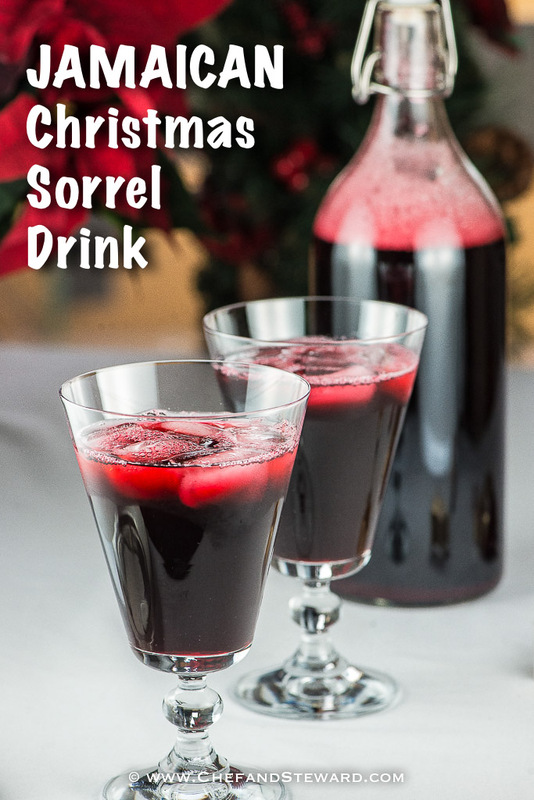 Sorrel is to a Jamaican Christmas what snow is to a temperate Christmas. This “Jamaican sorrel is not to be confused with the herb called sorrel. In Jamaica, and to Jamaicans all over the world, sorrel is one thing and one thing only- hibiscus. It is the same flower that is called “Agua de Jamaica in Latin America and other parts of the Americas. The drink is so popular to Jamaicans that is it known by that name. 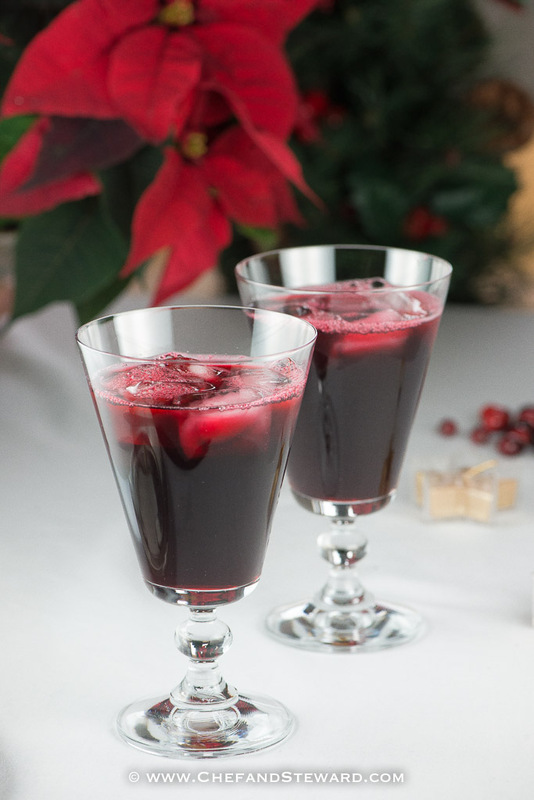 The drink is a favourite at this time of year because it is made from hibiscus (otherwise called roselle or karkade), which starts to come into season in the Caribbean by about November. Fresh sorrel is grown in the gardens of many Jamaicans and is traditionally handpicked in huge batches by a group of women and children ahead of the holidays. The petals are set aside for this deliciously rich drink and excess petals are sometimes dried for later use. Since we do not have access to fresh hibiscus in the UAE or in Aruba, we use the dried karkade found in abundance in supermarkets like Carrefour and Choithrams. It is very high in resveratrol, vitamin C and the rich luxurious colour just accentuates the season. The drink itself is like a sangaree or a mulled wine per se- drinks made with wine and infused with steeped spices. However sorrel is always served cold. I am not sure if historically that was the case. Perhaps it was served at room temperature before the days of widespread refrigeration. Since we have come a long time hence, I usually like to make mine to be pretty concentrated, very alcoholic very sweet so that I can serve with lots of ice. That way my drink goes longer. I like to make mine from months before when possible and the extra sugar causes a bit of fermentation, adding yet another layer of flavour. Usually I serve mine in tumblers because it’s just too special to pour like lemonade. Remove from heat and let it sit until cool, preferably overnight. Strain the liquid through a fine sieve, discarding the trash. Add the sugar, wine (and rum if using) and stir repeatedly until all the sugar crystals at the bottom of the liquid dissolve. Pour into glass bottles with airtight caps and leave on counter for 2-3 days to ferment slightly. Transfer bottles to fridge and keep for up to a year. The drink gets better with age. Some of the sugars will be converted to alcohol as the drink matures with age, which is why I have made it very sweet. If too sweet upon serving, simply dilute with a little water. You can also serve it immediately, though it’s best when made at least a week in advance. Serve over lots of ice, as it is sweet especially if freshly made. For more Jamaican Christmas recipes, check out this amazing collection of recipes. What Jamaican or Caribbean recipes are you looking for this holiday? Let us know and we will help you to transform your celebration Jamaican style! This looks so delicious and perfect for a holiday party! Yum! It is Sara, and the older, the better. Thanks for stopping by! I’ve never heard of this before! But the hibiscus flavour really does sound interesting. I visited Jamaica earlier this year, had I known about this, I definitely would’ve sought it out! Hi Riz, thanks so much for stopping by. It’s great that you visited Jamaica. This is a seasonal drink-usually made in the home in Dec-Jan. There is a juice company that sells a bottled version but it is a far cry from the real thing.